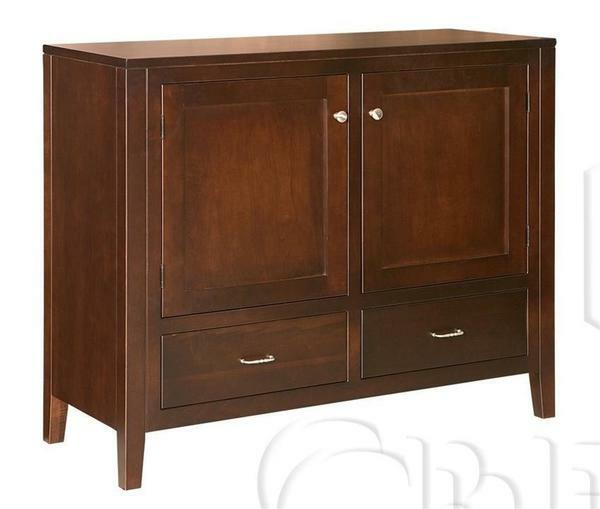 This sleek and elegant Tuscany Buffet Server is completely handcrafted from only the finest solid hardwoods such as cherry, walnut and elm wood. Choose from a wide variety of stains, paints and distressing packages to complete the look of your new Amish dining room furniture. The Tuscany Server is characterized clean, distinct lines, and an emphasis on functionality. This server is certainly not over-adorned, but carries a unique beauty in it's simplicity. As a bonus, the Tuscany Server comes with dovetailed drawers and full extension drawer slides at no additional charge! Call us today to begin your order at 866-272-6773 or come and take a tour of our Amish Furniture Store in Sarasota, Florida.